The "pre-crime" software, called the National Data Analytics Solution (NDAS), uses a blend of AI, citywide smart cameras, and statistics to try to evaluate the risk of someone committing and or becoming a victim of a violent crime. West Midlands Police has taken the lead on the project and will finish the prototype system by the end of 1Q 2019. Eight other police forces across the country are involved in the development, including London’s Metropolitan Police and Greater Manchester Police. NDAS will be piloted in the Midlands district before a nationwide rollout. One of the main reasons behind predictive policing - is a cost-savings tool for law enforcement agencies that have been dealing with funding issues, said Iain Donnelly, the police lead on the project. Donnelly insists NDAS algorithms will sniff out already known criminals, and divert them with "therapeutic interventions,” such as "support from local health or social workers" to avert a crime. 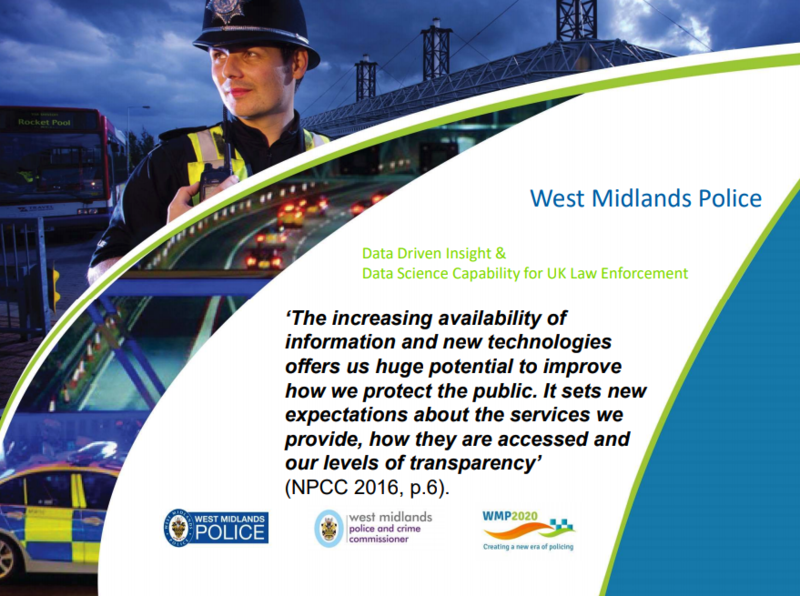 West Midlands Police used data and statistics from past criminal events to identify 1,400 potential indicators for crime, including 30 important ones. Machine learning algorithms then took the data points and learned how to detect crime while analyzing video from smart cameras. Predictive policing is based on prior criminal stats, including stops, arrests, and convictions, and it is incapable of expanding the pool of suspects beyond the database. Predictably, the Alan Turing Institute found “serious ethical issues” with the NDAS, warning the program could have good intentions but “inaccurate prediction" is an ongoing concern. Still, in a world in which humans are increasingly disintermediated by machines - false negatives be damned - it seems that 2019 could be the year when predictive policing - something which was once confined to the realm of science fiction - comes true, first in the UK and then everywhere else.